If you life in a place that doesn't get the new Audi RS4 Avant, like the United States, then the company's new ad for the high-performance station wagon might be very hard to watch. The commercial shows the aftermath of the estate lapping a track and highlights the sounds that various part of the vehicle while they cool down. The latest RS4 Avant would probably be quite fun at a track day. It packs the same biturbo 2.9-liter V6 from the latest RS5 Coupe that produces 450 horsepower (331 kilowatts) and 443 pound-feet (600 Newton-meters) of torque. The only available gearbox is an eight-speed automatic with an optional rear-mounted electronically controlled differential. 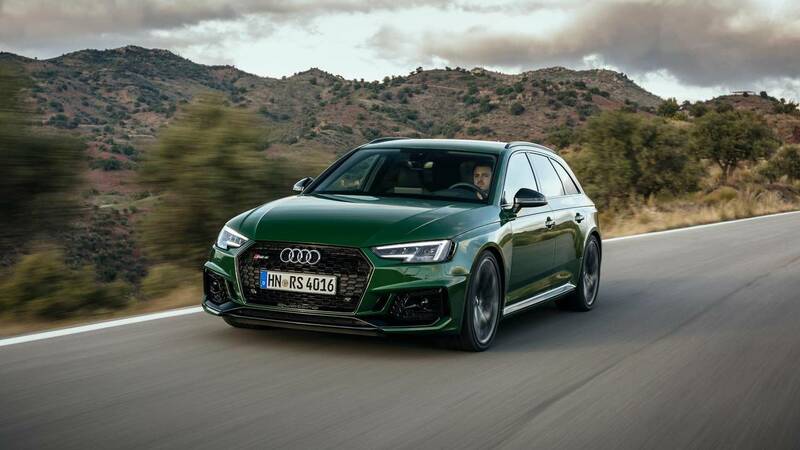 The powertrain gets the wagon to 62 miles per hour (100 kilometers per hour) in 4.1 seconds and a top-speed usually limited to 155 mph (250 kph) or 174 mph (280 kph) with the optional RS Dynamic Package. Buyers that want even more performance should check out the available Carbon Edition. It adds carbon fiber reinforced polymer components for the body kit, including the front splitter, side sills, rear diffuser insert, and mirror caps. Milled, 20-inch wheels are each 4 pounds 7 ounces (2 kilograms) lighter than the standard 19-inch units. Europeans can order the RS4 Avant now. They'll be available in Germany first for a base price of €79,800 ($98,914) at current exchange rates. Audi fans in the U.S. don't have to feel completely left out of having a RS model with easy access to the rear seats, though. Scott Keogh, the company's president in America, recently confirmed that the RS5 Sportback's eventual arrival in the region. He also hinted as the possibility of another RS variant in the future.